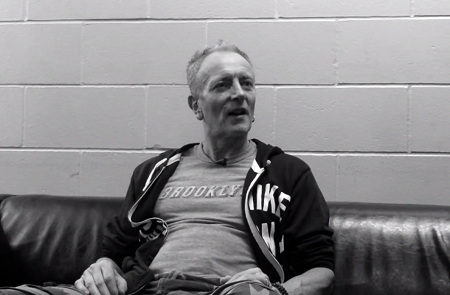 Def Leppard guitarist Phil Collen was interviewed by Oregon radio in September and mentioned working with Tesla. Phil talked to KGON 92.3 about Tesla, playing with them on stage, Save That Goodness, producing the next Tesla album, being a producer, Pyromania, Vivian Campbell's health, his own health, giving up drink, the 2016 tour, playing new songs and VIVA! Hysteria. The DJ Bill Prescott was the first to play Tesla on the radio and they discuss Phil's work with the band including their upcoming 2017 studio album. He was promoting the show in Eugene, OR at the Matthew Knight Arena. Listen to the full 11 minute interview via the radio link. "I have yeah. We've been doing the new single Save That Goodness. And Debbi Blackwell-Cook who sings in Delta Deep with me has also some nights been coming up as well you know depending on where we were at. So yeah no it's been a blast." "No, as we were writing it because me, Debbi and Helen my wife. Actually we write all the Delta Deep stuff. We where actually sitting at the house and even when it was coming out we was going; 'Jeff Keith would sound great on this' and so even before the song was totally finished you know I played it for them. And Brian (Wheat) said; 'Oh we have to do this song. This should be a Tesla song'. So there you go. And you should produce it. So that's pretty much how it turned out." "And we went from there. It came out so well that they asked me to produce the album. So we're mid way through that right now. We're actually recording while we're on tour and you know. Actually today we're recording something backstage and stuff like that. Then we get to Sacramento and we do the drums and the lead vocals. So yeah we've got a little bit of a theme here. We've got a concept going. So it's really cool." "Well I'm usually a member of the band that I'm producing. If it's Delta Deep or Manraze and even some of the Def Leppard stuff. I've have a big hand in producing there as well. But yeah I've done some bits and pieces over the years. I done an album with an Australian band actually in the 90s called B.B. Steal. And that turned out great as well. So yeah I've been doing it. It's part of being an artist I think. You know it's the same thing if you're writing and recording and you have an idea of how it should sound. That's really what producing's about." "Yeah all the time. You just it different ways. If someone, and we say that in Def Leppard, if someone is so passionate about something. Then you at least give it a try. You know and most of the time you go yeah this is great and then someone will come and go I really think it should do this. And you go alright then, let's see what you got. And then if it sounds great. Great. If it doesn't then we can it. So it's really black and white for me." "He's great. You wouldn't know there's anything wrong. You know as long as he keeps taking you know the treatment he's fine. He's actually in really good shape. He's like mentally, physically, emotionally, everything. Actually you wouldn't know anything's wrong. He's great." "We are yeah and we actually finish the whole tour on October 10th I think is the last date. It's hard to get new songs in. That's the hardest part. You know the setlist is, it pretty much takes care of itself. There's songs that people really wanna hear. So you have to play them." "We move them around and it's getting the right place for them. New ones which we've been doing really well." "Yeah. We could. Well when we done the Vegas thing we actually did that. We done a different set every single night. Like completely different songs. We'd do the Hysteria album and before that it was all deep tracks." "Yeah doing that actually was a great way of getting all the music out there. So there you go."